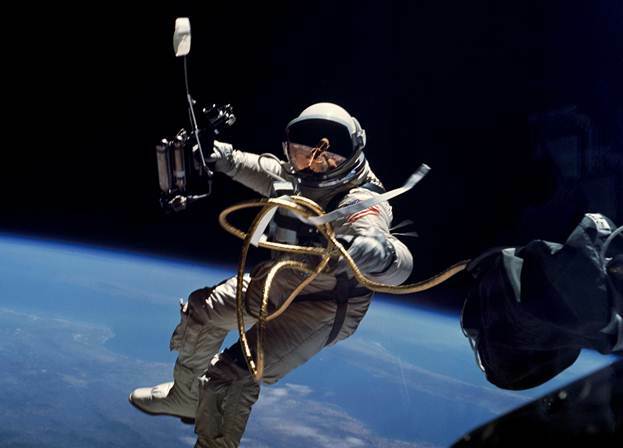 The first spacewalk image (courtesy of National Aeronautics and Space Administration). Do you dream of being an astronaut someday? There are boys and girls raised in Oklahoma, maybe even from your hometown, who became astronauts! Many more Oklahomans contributed to the United States space programs as scientists, engineers, politicians, and more. In fact, Oklahomans have been involved in every phase of the US space program. The pioneer spirit that started with the land runs continues as these Oklahomans explore the frontier of space. Have you ever looked up at the night sky? When you do, you are looking into outer space, which has stars, planets, and comets. We live on the planet Earth. Earth is part of our solar system. 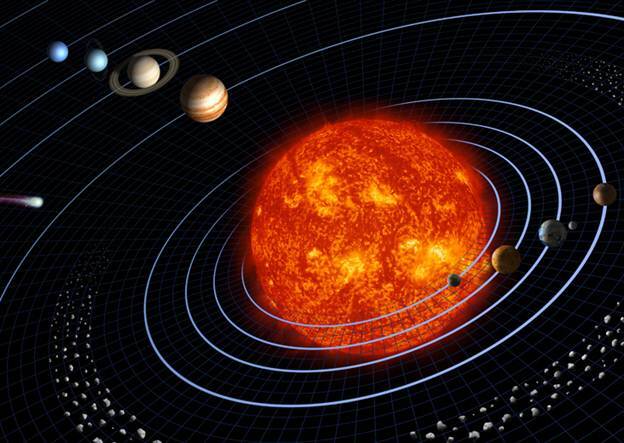 A solar system has planets that circle the sun. Do you know the planets in our solar system? They are Mercury, Venus, Earth, Mars, Jupiter, Saturn, Uranus, and Neptune. Scientists once considered Pluto a planet, but in 2006 they decided it was too small to be a planet. Instead, it is now considered a dwarf planet. Scientists study space in different ways. For example, we can look into telescopes to look at space from earth, astronauts travel to space in rockets, and scientists send robots to take measurements and samples. This site allows you to meet astronauts and other Oklahomans that were a part of the space program. First, read the background page for information about being an astronaut. Second, click on the pictures of Oklahoman astronauts to learn more about them. The other Oklahomans page briefly describes Oklahomans who also helped the space program in other ways. The programs page tells you about different space programs and how Oklahomans have participated in them. You can also use the glossary for a list of words you should know after reading the other pages. Be sure to use this list if you come across a word on the site that you do not know. You can then click on the bibliography link to find online resources, children's books, and other books about space. The activities page has coloring sheets and other activities that you can do individually or as part of a group! 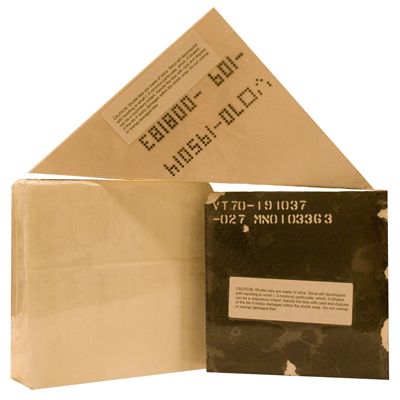 Space shuttle tiles on loan courtesy of National Aeronautics and Space Administration. 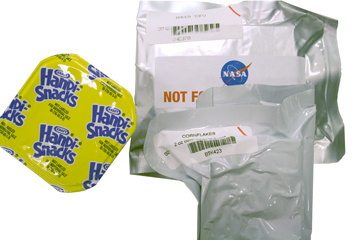 Astronaut food on loan courtesy of National Aeronautics and Space Administration.